Apparently, a Global Arena Capital Corp customer brought FINRA Arbitration #18-02590 in regards to Joseph Ambrosole’s sales practices. First, the statement of claim alleged that he or the firm breached a fiduciary duty and a contract agreement. Secondly, he or the firm was allegedly negligent in making equities trades in the customer’s account. Third, the customer contended that Joseph Ambrosole or the firm engaged in fraudulent activities which caused the customer to experience losses. Because of this, the customer alleged $100,000.00 in damages. This matter is pending a resolution. Evidently, on May 4, 2018, a customer of Global Arena Capital Corp brought FINRA Arbitration #18-01555, naming Joseph Ambrosole as a respondent. According to the customer, he over-concentrated the customer’s assets in alternative investments including leveraged ETFs. Also, the customer alleged that Joseph Ambrosole put the customer’s assets in investments which were not aligned with the customer’s suitability profile. Finally, Joseph Ambrosole allegedly churned the customer’s account. As a result, the customer demanded $275,000.00 in compensation to remedy the issue. However, the matter is unresolved. Apparently, Joseph Ambrosole consented to FINRA suspending him in all capacities and imposing a $5,000.00 fine according to a Letter of Acceptance, Waiver and Consent #2015047839902 executed on February 15, 2017. Namely, FINRA found that Joseph Ambrosole made unauthorized trades in Meyers Associates, L.P. customer accounts. Evidently, he sold four securities positions and subsequently applied the customer’s proceeds towards the purchase of a unit investment trust. Apparently, the customer never authorized Joseph Ambrosole’s sale of securities or purchase of the unit investment trust. Supposedly, the customer incurred investment losses because of him. 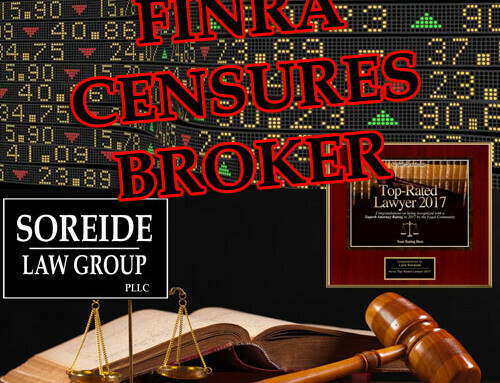 Therefore, FINRA stated that Joseph Ambrosole violated FINRA Rule 2010. Apparently, Joseph Ambrosole became a securities representative for Joseph Stone Capital L.L.C. on November 9, 2017. 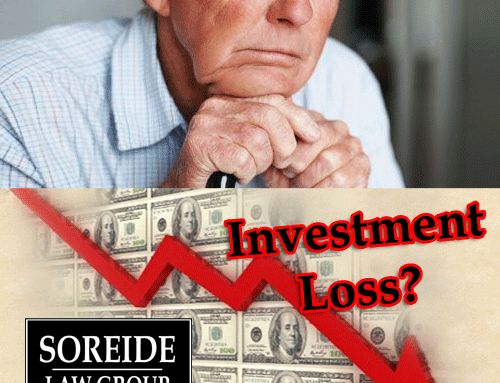 If you have experienced losses by investing with Joseph Ambrosole, contact Soreide Law Group at (888) 760-6552 and speak with experienced counsel about a possible recovery of your investment losses. 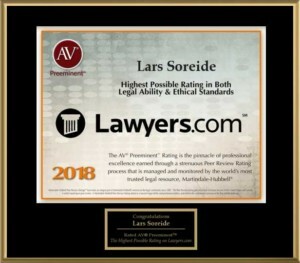 Soreide Law Group represent clients on a contingency fee basis and advance all costs. The firm has recovered millions of dollars for investors who have suffered losses due to misconduct of brokers and brokerage firms.